A dynamic Multiplayer Mission set in the Caucasus Map. 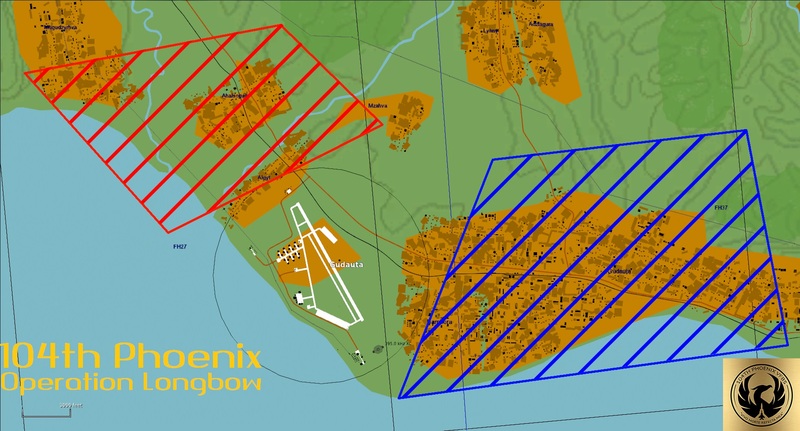 6 Airbases to capture and hold in the battle-zone. Ability to recapture lost bases. Spawnable aircraft at newly captured airbases. Airbase Defence Upgrade rewards using heavy transport aircraft. Helicopter Transport Operations using CTLD. Locked GCI slots that are open for sign up. 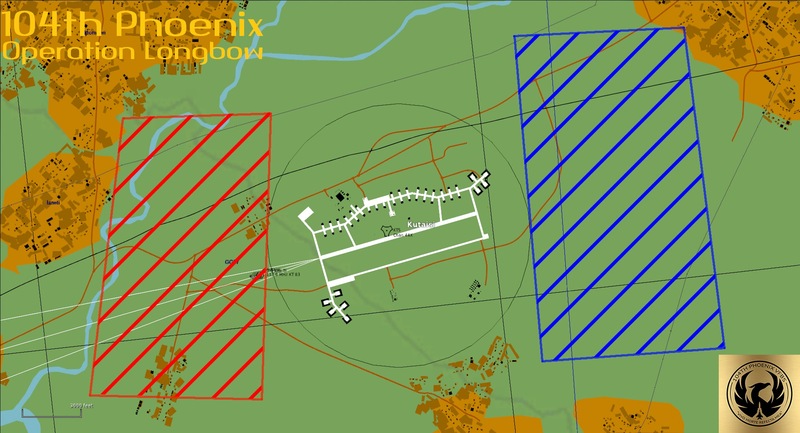 clients can then spawn in aircraft from their newly captured bases. located along the Black Sea Coastline while preventing their opponent from doing the same. 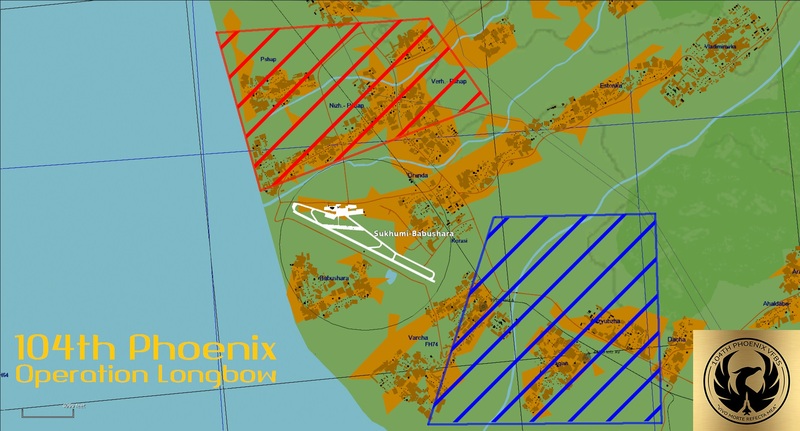 are locked in a stand-off against each other at opposing sides of the airfields. Click on the links above in red to see the approximate location of each coalitions units. after eliminating the enemy guarding the position. Inter asset cooperation is key as airbases can only be captured by the landing of ground troops by a friendly Helicopter. once the enemy has been cleared. Helicopter pilots will also be required to deploy JTACS, MANPAD Teams and EWR Systems to the front lines! 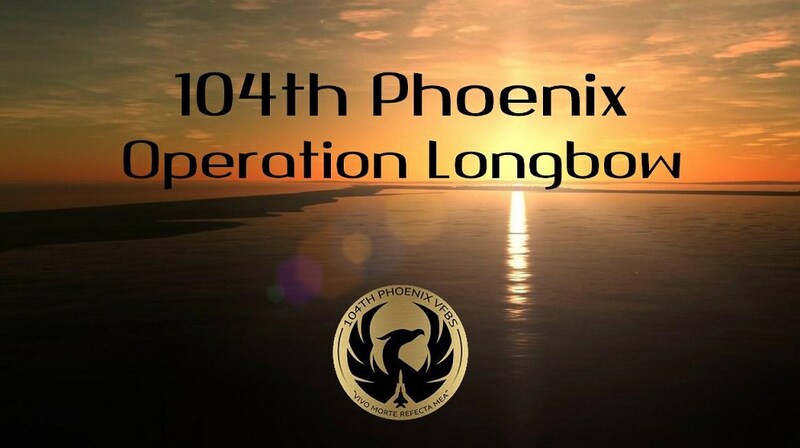 however we request that clients also use the 104th Teamspeak server for mission planning and networking purposes. 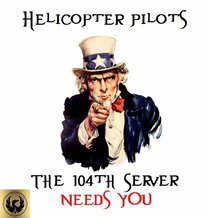 Any client using a GCI slot MUST be on the 104th Teamspeak server. We have set up a HELP CHANNEL to assist users in the set up of SRS on our Teamspeak server. has a step by step guide of how to install and set up SRS for use on the 104th. 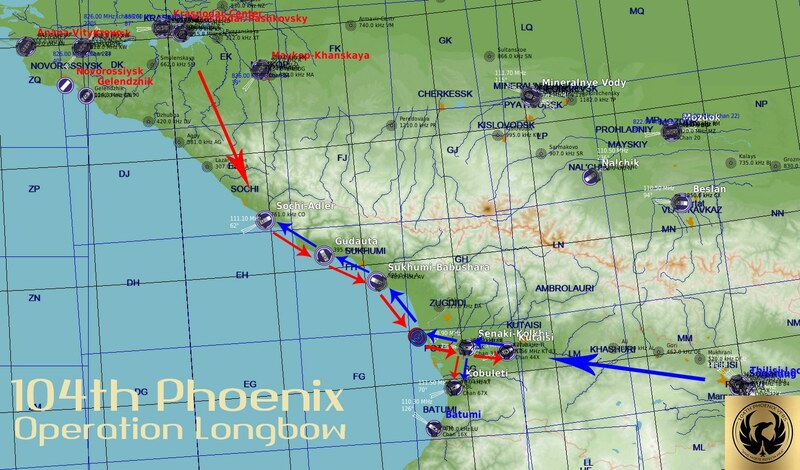 The mission features an East vs West set up and is based on a fictional scenario that involves NATO Allies taking on Russia, Iran and China (Taiwan). GCI services will be available to clients through the use of Combined Arms by approved GCI Operators who have signed up for access to the locked slots. Clients who have not signed up to be a GCI Operator will be unable to access the GCI slots during the mission. Once we have received your application and its been accepted an admin will co-ordinate with you on teamspeak and get you added to the GCI Operator list. Each coalition has Assault Batteries for each Target Airbase. 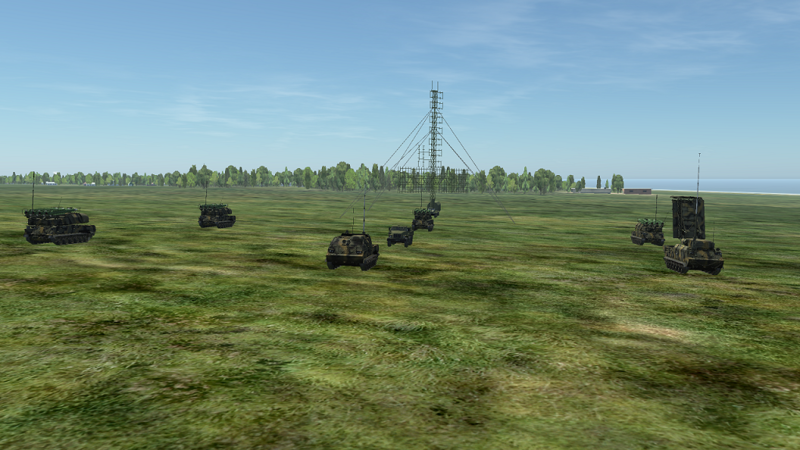 At the start of the round both coalitions have an Assault Battery at EACH airbase! 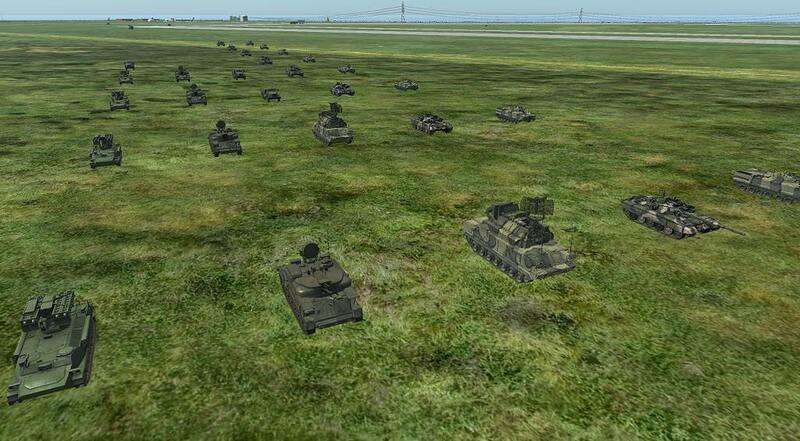 To capture an airbase you must eliminate the enemy Assault Battery and then land friendly troops on the airfield. Once this has been complete the friendly Airbase Assault Battery will move on to the airfield to protect it! Once a coalition captures an airfield a heavy transport aircraft will be despatched with an Airbase Defence Upgrade package. The package will arrive in two stages. First is the Surface to Air Missile system followed by an Early Warning Radar system brought in on another aircraft after the first has safely landed. If a coalition looses their first transport aircraft with the SAM package to the enemy a second aircraft will be despatched with another SAM system to try again. In this scenario the EWR system would NOT follow if the second aircraft makes it safely. A coalition only receives the EWR upgrade if the FIRST transport aircraft makes it safely to the airbase! Helicopter pilots are the key to a coalitions success in the mission. Transport pilots are required to land friendly troops on to the Target Airbases once the enemy troops have been cleared. Once the pilot has offloaded his troops the airbase will be secured for his coalition. FARPS can also be captured along with airbases. See the below pictures for FARP locations and details. FARPS in YELLOW are capturable by the enemy! FARPS in BLACK are not capturable. All helicopters spawn on the ground at FARPS not on them. To rearm your helicopter you must fly over and land on the helipad then make your request to the ground crew! Cargo loading is done through the fantastic CTLD script by Ciribob in the RADIO MENU. All troops and crates are loaded when at a friendly FARP, loading crates and troops will NOT work at an airbase. 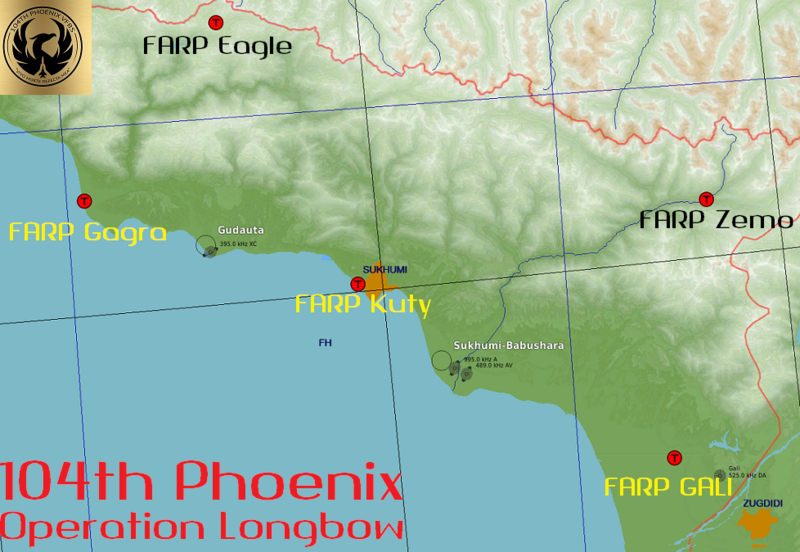 You must consult the map and fly to your nearest FARP to pickup cargo. Once you have troops on board you can drop them when it is safe to do so at the target airbase and it will be secured for your coalition. Getting Started and Useful Information. This means you cannot spawn at any airbase or FARP that your coalition does not control. Aircraft at home bases start with the Number 1, eg "1 Tbilisi F-15C A1" aircraft at Capturable bases start with the Number 2, eg "2B Kutaisi F-15C A1". If your coalition has not captured any bases in the mission you will only be able to spawn at a Home Base and select aircraft starting with 1. 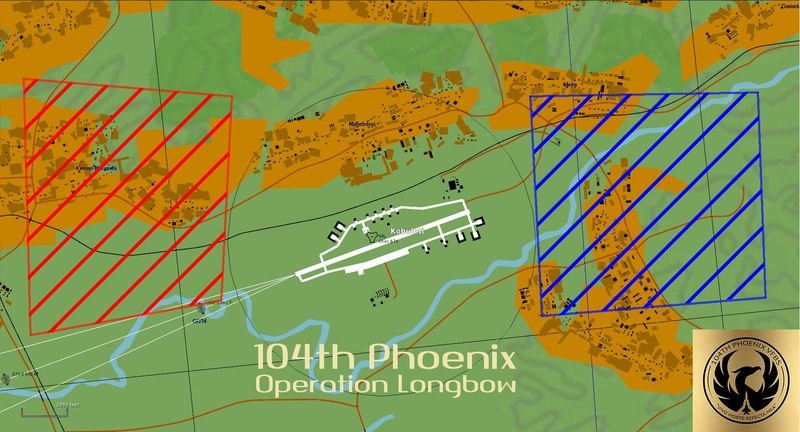 Once your coalition has cleared the enemy troops from a base then captured it you can spawn in at that airbase by selecting the aircraft based there in the aircraft list. 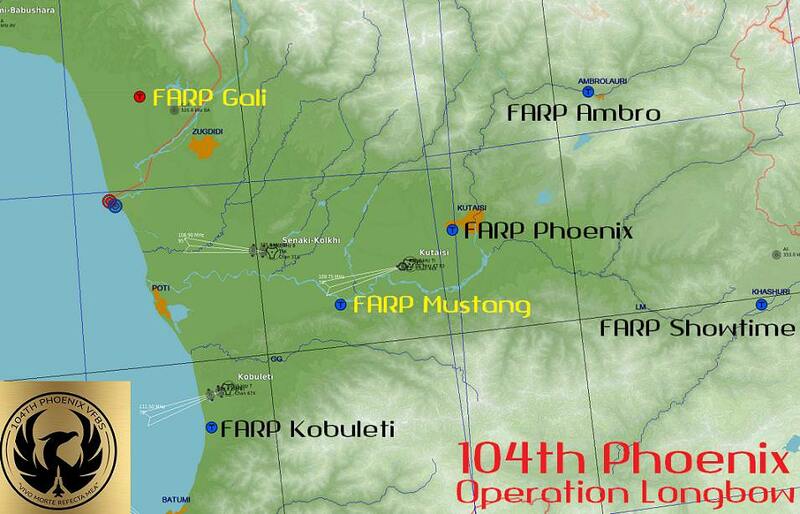 FARP Phoenix activates for the BLUE side when KUTAISI has been captured and secured! FARP Gali starts as a RED FARP at the start of the mission however RED cannot spawn there until they capture SUKHUMI! All fixed wing aircraft start with 0% fuel at all capturable bases. Fixed wing aircraft starting at Home Bases load with 100% fuel. 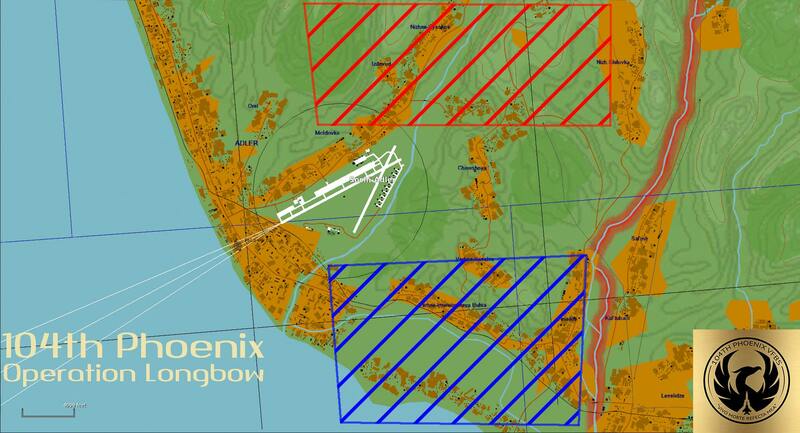 We do not have a website with a live mission map, clients must use the F-10 map to see what airbases belong to which coalition. Press F-10 and click on the airbase you want the status of and it will tell you if it is RED, BLUE or NEUTRAL. You can only spawn on an airbase that belongs to your coalition AND has had the enemy cleared from around it! More details including a downloadable mission brief will follow later this week. No more changing the battlefield with helicopters? What do you mean no more change the battlefield? No one can capture an airbase without a friendly helicopter pilot... I would call that changing the battlefield. We used to be able to use ground units to attack FARPs, airfields and build safezones for jets by building small layered SAM sites. No more of that. We used to be able to transport (with multiple boxes) artillery pieces, short and medium range SAM systems and rearm them, ATGM trucks that'd attack enemy ground forces and even helos and few other things. Now....helos wait until CAS mops everything up and just lands on an airfield. We used to fight "CQB" with other helos trying to take a FARP or tactically important position. Now, we can take couple of Stingers and a JTAC. And making a FOB crashes the server. Unfortunately script used to do all those things became unstable and caused server crashes. Until those issues can be resolved, stability is maintained by the way things are now done in the new server mission. While it is true that helos have been limited in the scope of the mission, they are vitally important to the particular sides success. 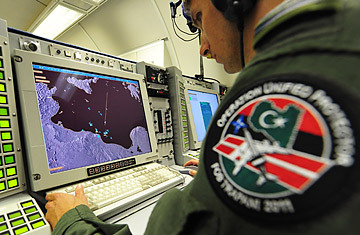 Dropping troops to secure an airfield so that aircraft can spawn closer to the battle or take over a FARP so that it can be used for rearming/refuelling, inserting a JTAC to laze targets for strikers and setting up Early Warning Radar to increase the detectable coverage all have great value to the overall mission. No more Ka50 on blue either? 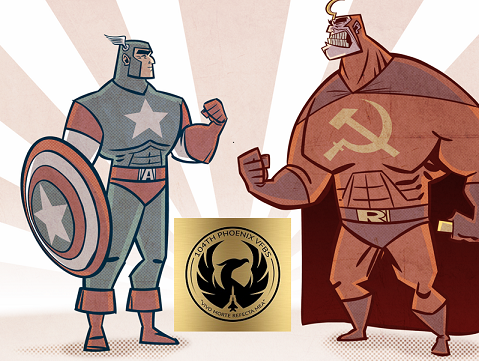 Is it strictly NATO vs Rest of the world? Slider read the mission brief, it tells you everything you have already asked! But that's like work and stuff. Had some issues with Op Longbow last night. Kutaisi was captured by blue with troops on ground, blue side could refuel rearm. Could not spawn at all. Several of us scoured the airbase to find troops for quite some time but there was nothing there. Kobuleti was captured by blue but could only spawn 1 A-10 slot there, no other aircraft available. 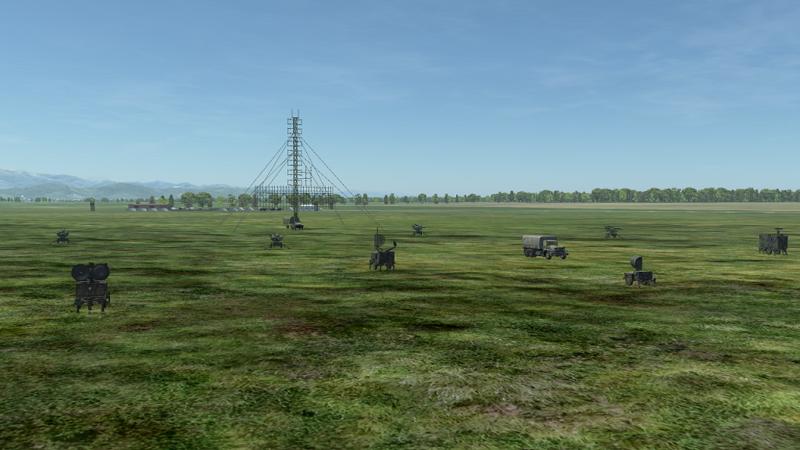 - Creating some fixed locations with the CTLD script were helicopters can bring crates to and build a SAM site. 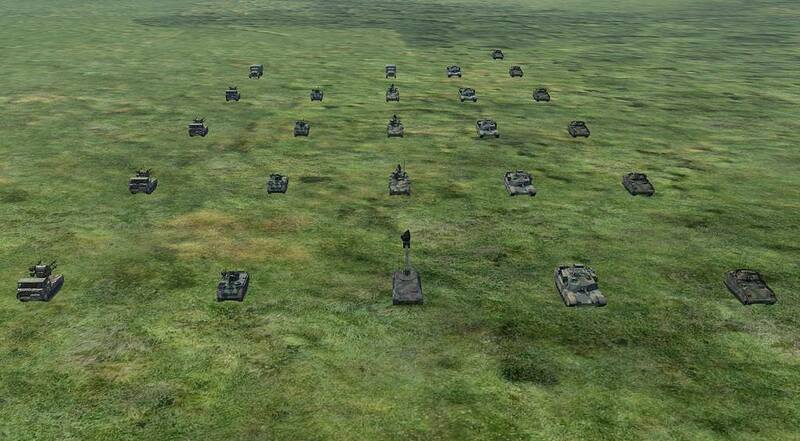 - Gali farp is contested alot, the farp suffers when a single bomb destroys the farp vehicles, Mistrals can not re-arm, can we get a option to respawn those vehicles? Either with crates or something else? - Would it be possible to give the helicopters the option to create a HMMV TOW/Vulcan or ZU-23 AAA emplacement? Or does that crash the server also? Thanks for the mission, I like spamming those manpads. - Could you add a radio channel to the briefing? Just for the helicopters, we are on 30.00 by default. one player came to me and said that Gazelles cannot rearm on the farps. I test it in any blue farp and its true. I couldnt also. Instead of Tomcats for WARSAW Pact countries, how about limiting AIM54s to only from the carrier - no Tomcat spawns on the carrier. 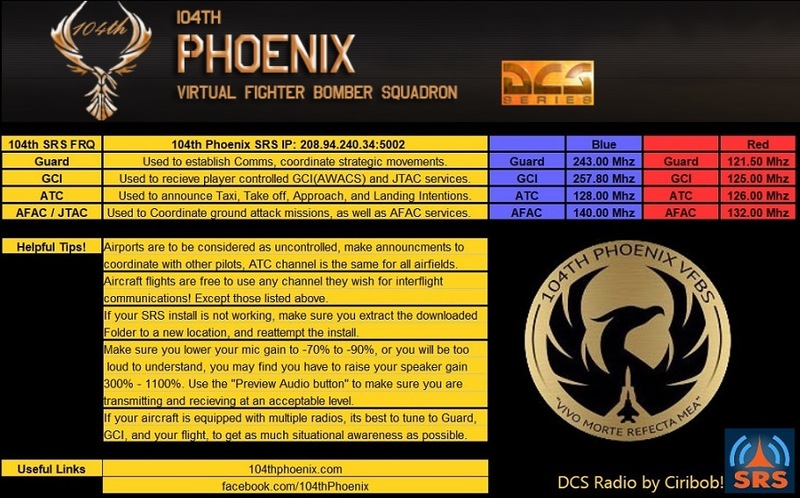 While not realistic this would limit (idealy) the Phoenix to the players whom A) are carrier capable which is not everyone, B ) willing to fly out to the carrier, and finally C) hopefully on SRS. Reds already have some pretty long range missiles that outrange the AMRAAM and they are great at doing the terrain evasion that has given us fits for so long on the blue side. It really breaks the most immersive scenario to me to have NATO aircraft flying for the reds in the Caucus region. I've accepted it on the air-quake missions but this one this morning really kind of bummed me out when I logged in. So excited for longbow I'd forgotten for a moment about the Tomcat and was ready to go smack Kutasi and do some work with the team. I understand reds consternation, just as I hope they understand mine when I'm up against R77s and ETs that fire farther than AMRAAMs. 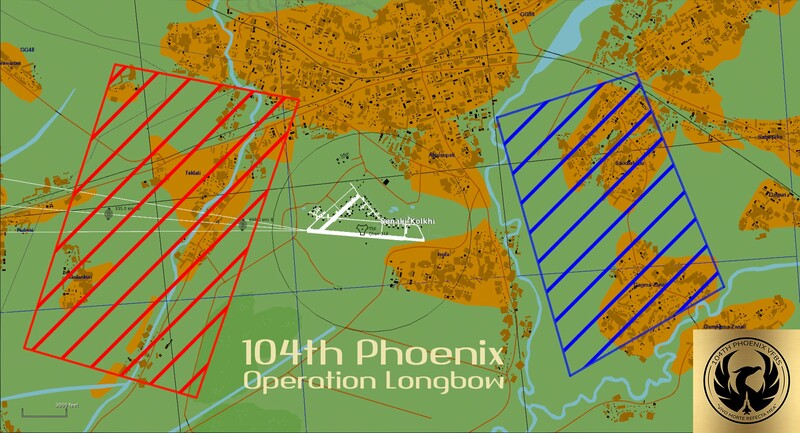 Just seems we could have one scenario that was more realism based which is what Longbow gives us. I forget the name of the version on the PG map, but that will be very interesting with Persian Cats as well (makes me hope that the liveries will be limited though) and it makes perfect sense. Anyway, I hope this will be taken as some constructive thought, not even advice. It is your home and it seems to be the only server around which is both unfortunate and something you guys should be proud of. Thanks for the community support your squadron gives, and for the few moments of consideration you may give to my suggestion.